Loving someone with ADD can be a complex task. The things you say can trigger a response, and you never know which word will be the one to set off an explosion of emotion. Walking on eggshells becomes a part of your daily life as you try to avoid conflict. 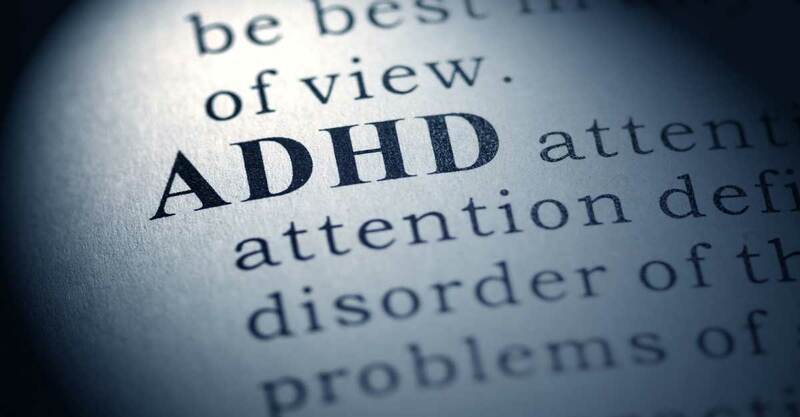 Those who have ADD/ADHD are in a world that is different to what the rest of us experience. Life is more challenging when everything is intensified and magnified under a scope of scrutiny. Their minds of brilliance are always busy- creating, designing, exploring, questioning, never resting. Can you imagine what it would feel like to have a constant whirlwind in your mind that never stops? Being in a relationship with someone who has ADD can present several challenges. Outbursts of emotion, extreme differences in polar behaviour, and lack of concentration can be harmful to relationships. Those who have ADD find it hard to concentrate when they are feeling emotional or when they are in a haze of distraction. However, when they find a topic that truly interests them, they delve into a zone so deeply that it is difficult to get them out of it. It is a challenge to start a project, but it is an even bigger challenge to stop one. We all know that true love is unconditional, but sometimes things can test your limits. Regardless if it is your son or daughter, spouse, or partner, ADD tests all relationships. The most positive thing you can do to bring peace into your lives is to learn how to change your mindset towards handling the emotional ups and downs that ADD will undoubtedly bring. Empathy and understanding how someone with ADD feels will benefit you and the person you are in a relationship with. The brain of someone who has ADD never stops thinking. The on/off switch isn’t there and there is no conductor stopping the train of constant thought. It is an exhausting bother that one has to learn to manage. Someone with ADD will hear what you are saying- for the first few words. Then their mind is off like a racehorse.They can still hear what you are saying but the attention is elsewhere. They are likely thinking about how your hand gestures are moving, how your hat is slightly crooked, or how your top is covered in lint. Even though they know they have something that needs to be done, there are a million different things that distract them from what’s in front of them. It’s like walking through a thick forest. They start moving forward in one direction, but have to keep altering the course to find their way out. Those with ADD are deep thinkers, and as such, they are sensitive to what is happening around them. Being surrounded by noisy people in a crowded restaurant can make them feel like they are in the middle of a heavy metal concert, or a saddening news story can send them into a depression. Emotions run high, and anxiety is right there waiting. If something is going on that causes worry or anxiety, or if they are distraught, someone with ADD will not be able to focus on anything else. This means that concentration on relationships, work, and anything else is extremely difficult. When someone with ADD finds something that triggers their interest, they jump in head first and don’t surface for air. A person with ADD has high-flying emotions and they can not be contained. The thoughts and feelings get twisted up and knotted, making it difficult to process them. Extra time is needed to sort through their systems and get things running smoothly. Those with ADD have intense feelings and find it difficult to moderate their impulses. This means that they sometimes say things without thinking or without editing their thoughts beforehand. People with ADD understand that the surface is just that- the surface. They know that there is so much more beyond the invisible exterior and they can see far beyond it. This is one of the most enjoyable and inspirational traits of ADD, and has spawned many creative geniuses, artists, inventors, musicians and poets. Another absolutely beautiful aspect of those with ADD is how they process thoughts and solve problems. They can see solutions to problems that other “normal” thinkers just can’t see. Those with ADD can be rather impatient. Wanting things to happen now now now can result in some sort of constant movement. Clicking pens, twitching their leg, tapping their fingers, opening and closing things- these actions are actually calming for them and help them process their thoughts. Certain fabrics can feel uncomfortable, a mattress might seem more bumpy to them, and some foods may have tastes and textures that others never even imagine. It’s a sensory adventure. It is difficult for a person with ADD to maintain order with their belongings because their mind does not operate in an orderly fashion. Whether it’s speaking on the phone, or having a conversation face-to-face, those with ADD find it easier to process thoughts when they are in motion. Movement brings clarity to them and helps to calm their thoughts. Choosing what to have for dinner or what to wear to work can be overwhelming. Those with ADD have so many options running through their mind that they often find making one choice can be challenging. They may want to avoid making decisions completely due to their nature of over-thinking. The memory aspect of someone with ADD is a paradox. They might not remember to get bread at the store, they may miss a few appointments, and they probably don’t know when someone’s birthday is, but they will be able to recall what someone said to them earlier in the day, a phone number they were told, or a quote by Bill Hicks. The distracted mind of a person with ADD is always somewhere else. It is easier to remember something visible; that’s why they have 12 open windows on their desktop. Because of the continuous activity of thought in their mind, a person with ADD will feel quite comfortable having many things to do at once. The more that is going on, the better. The thoughts, feelings, words and touch of someone who has ADD is a powerful thing. All of them are magnified in every aspect. This can be a wonderful blessing when channeled correctly. When someone with ADD does something, they give it their all and put their heart and soul into it. They are intense and their perception molds this trait. This is what makes someone with ADD so lovable. To summarize, someone with ADD/ADHD has constant thoughts and difficulty controlling their impulses. They also have many wonderful aspects to their personality that you will love and enjoy once you begin to understand where they are coming from and how they feel. Practice compassion, empathy and be patient with them as this will help both of you through the hardest of times. It is also important to take care of yourself as well and give yourself the space you need, when you need it. Find a friend you can talk to, meditate, and most importantly, breathe. Remember that they are just trying to do the best with what they were given, just like you and I and we can all use a helping hand now and again. Do you have any additional tips or pieces of advice for being in a relationship with someone who has ADD or ADHD? Let us know what you think in the comments below!